Very happy to showcase my latest video collaboration with Jason Lenzi, this month we tackle one of my passions, Monster action figures in the most appropriate month to do so. The Tomland Famous Monsters of Legend are one of the rarest sets of monster toys in the world and in this volume we try to give you the basics on a unique line of action figures. 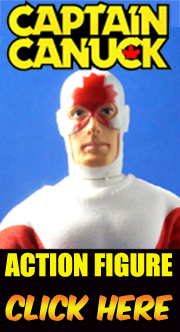 See the video here and don't forget to subscribe to see our upcoming vintage toy short films. Thanks for watching, Happy Halloween.